Bidding is closed on this print, but you can still purchase one on my website. Peaches is 20 this year, and though it doesn’t really work out this way, she is nominally 100 years in human years. Now that’s reason for a celebration! 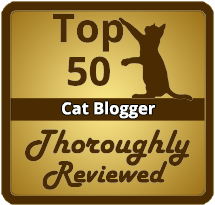 I’ve written about Peaches several times since I’ve been blogging (and even before that), probably more often than any other cat in my household. She came to me five years ago with her sister for me to foster after their owner died and they were almost euthanized because the woman’s son thought it would be cruel for them to spend their last days in a shelter. We lost Peaches’ sister Cream to renal failure about ten months after they arrived, but Peaches quietly integrated her little self into the household without incident and even increased her health while here. I’ll be writing more about Peaches in the next two weeks leading up to May 1, the day we’ll be celebrating. 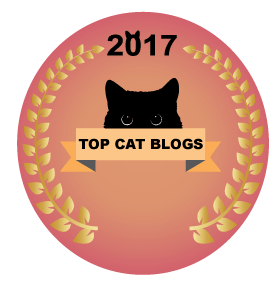 In addition, other bloggers will be sharing stories and tips and poems and art around all of our blogs about living with and caring for older cats and other animals. I am offering to the highest bidder a signed 10″ x 16″ giclee* print of “Peaches and Peonies”, the proceeds of which auction will be donated to FosterCat. Bidding begins April 18, 2010 and continues through midnight on May 1, 2010. In the “comments” section of this blog, please enter your bid amount and any message you’d like to include. If by any chance you cannot enter a comment, please e-mail your bid to me and I will enter it into the comments section according to its time stamp so that all bids will remain in order; please only do this if there is no other way to enter your bid. At midnight on May 1, I will review the comments for the highest bid and inform the winner the next day via e-mail. For this reason, please use your own account to bid so I know who it’s from. Bids entered on other blog posts or on Facebook, Twitter or any other means except commenting to this post and direct e-mail to me are not valid; believe it or not, everyone is not on Facebook or Twitter or even other social networks, but everyone who can read this message can reach the internet and can send an e-mail, so that makes the bidding fair. The winner will make their payment directly to FosterCat. When FosterCat has received payment, I will ship the print to the winner. MEDIUM: Pastel; SIZE: 16″ x 23″; 2008, $1,500 (note that the print for auction is about half this size). There it is, that moment that turns on all the lights for me…one of my cats in the sun, the conditions that have inspired most of my portraits. Cats are creatures of habit, and Peaches chose this spot to have her after-dinner bath every day for a few weeks when the sun was right; I knew it was a keeper whether a photo or a painting, so I photographed it several times over a period of several days, knowing I’d use at least one photo or all the photos as reference to create one painted image. A painting this size and level of details is a significant investment of time, so I had to wait until my schedule allowed the night-after-night sessions with tiny sections of detail. You can also see it and read more about it on my website. I am offering a 10″ x 16″ print of this work rather than a full-size print because, first, not everyone has tons of wall space, and, second, framing would be less expensive—in fact, this print will fit into a pre-made 16″ x 20″ frame that includes a mat so you can save on custom framing. Giclee printing uses special light-fast archival inks and is printed directly from a digital file, which is the most direct and accurate method of reproducing artwork. Prints can be made on many different papers—I use a matte-finish acid-free archival paper—and at just about any size, and when kept out of direct sunlight will keep their original color for at least 100 years. It’s decidedly a limited edition because I’m getting only one print at a time. This print is worth $75.00. Foster Cat, Inc. is an all-volunteer non-profit organization providing temporary foster homes for cats and kittens until they can be placed for adoption. The organization provides training and support, medications, food and litter as needed, and absorbs all veterinary expenses associated with the care of their kitties. They’ve rescued, fostered and found homes for many, many older and senior cats and I’d like to help them in their mission. Good luck! Peaches and I would like to know we can give FosterCat a pile of money to help them help other cats like Peaches. 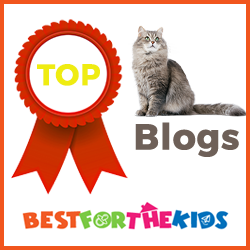 This is a short list—Peaches appears in many articles I’ve written on my household, on pet loss, and even some silly things I’ve written on my website before I had a blog! Search “peaches” in the search box for more articles. Kym, you came right in under the line at 11:46 p.m.! Congratulations on being the high bid on the giclee of Peaches and Peonies, making a generous donation to FosterCat! At your convenience, please go to http://www.fostercat.org/ to make your donation under “How You Can Help”. You can either click the paw and donate through PayPal or send a check. Also send me a mailing address where you can receive a Priority Mail package! When FosterCat receives your donation, I’ll ship the print. 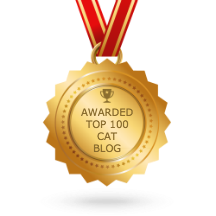 Again, congratulations, but most of all, thanks for your generosity to the good works of FosterCat! I would like to bid $130 for Peaches! Peaches–Hope you had a great birthday. I bid $125 in your honor. Kym, thank you! We made it to $100 for FosterCat! Peaches thanks you! So do I and so does FosterCat. Peaches–you are beautiful. Happy Birthday. My bid is $85. Marko, thanks for visiting, and thanks for the compliment. Interesting tour of the museum. I will be back to check some new info. 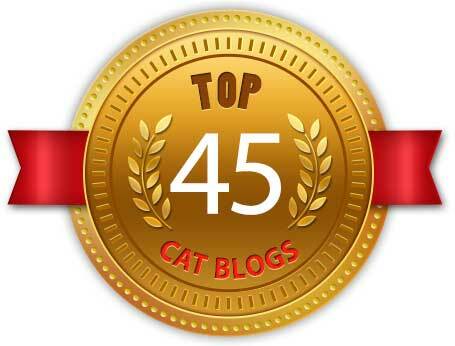 Pingback:Help Cats and Kittens in Need « Conversations with EVA! Yowza, thanks everyone! FosterCat will really make out from this! They’ve got about 30 adult cats in foster right now including Hampton who is on a special diet which FosterCat will pay for in perpetuity. The more they get the more cats they can help! I’ve decided that I love this piece so much, I’ll make another bid for $70. It’s really an exquisite piece. I’ll bid $65. Thank you, Renee! But don’t you think Eva might get jealous…wait, since they look so much alike you could tell her the cat is actually her! Okay-here I go. I’d like to put in a bid for $50.00. I really love this piece. I hope I’m fortunate enough to spend many years with my babies, who is only two and 7 now. Happy Birthday Peaches!! Gorgeous artwork. I will submit a bid of $45. Debbi, 2 and 7 have a lot of years to go, and I hope all three of you can enjoy them together! Thanks for the bid–all the more for FosterCat so they can assist adult and older cats during kitten season. Stop back to read other articles about older cats that you can keep on file for later. A mosy joyous Birthday wish for Peaches!!! Congratulations! Thanks for visiting, Julia! Peaches appreciates all the birthday wishes she can get. Stop back as we continue to add articles about Peaches and about loving older cats. How ’bout I bid for Marg….$40.00? Zat okay? love to Peaches from MacDuff and the gang. Marg, thanks for the compliment! As I always say, with models like these how can I go wrong? You can certainly make a donation to FosterCat. There’s a link in the article above next to their logo, and they have a page where you can use PayPal or you can mail a check. 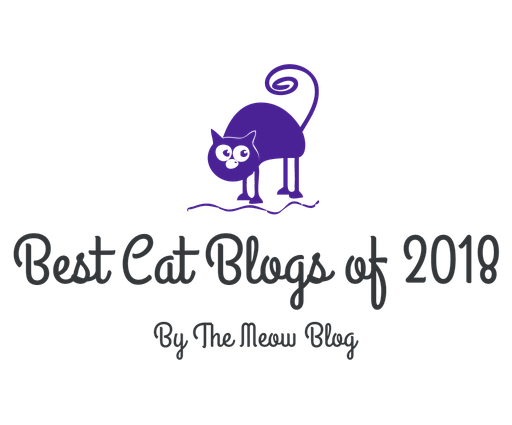 Make sure you read about the kitties while you’re there! Jim, what a wonderful story–and many people might not think so, but what an act of love for you. I haven’t spent all of Peaches’ 20 years with her, but they have such a gravitas at that age that I swear they could speak human if they had the physical capabilities; I saw it in all my older ones’ eyes. Thanks for your bid! That is such a gorgeous picture Bernadette. I don’t want to complicate things, but I cannot afford to bid on that picture as much as I would like to have it, but can I make a small donation to the Foster cat organization??? Give Peaches my best and a very Happy Birthday to her that is for sure. I will write a post on May 1st about older cats. I had a calico that passed shortly after she turned 20 a year ago. I knew her end was near, but couldn’t bear the thought of the last trip to the vet. Her last act was to climb the stairs to me room, give a little sign, and pass; very peaceful for both of us. I’ll go to $35. Ingrid, thank you! She’s the purrfect subject! What other kitty would think of posing in the sun next to a vase of peony flowers? Happy Birthday, Peaches! I’m looking forward to your special celebration – how purrfect for such a special kitty. The print is gorgeous, and I’d like to enter the bidding at $30.00. It’s hard not to be in love with Peaches–all the pet sitters who stopped here told me how cute and friendly she was and anyone who’s helped me with fluids for her just goes on and on about her. Honestly, I know she’s a doll, but this is getting comical! Well, maybe I’m glad no one would adopt her five years ago. Yes, you are bidding correctly, and you are the first bid! Thank you! 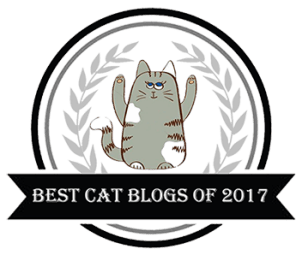 Read about FosterCat, too–I think you’d like working with the organization and I’m so glad I can help them. what a wonderful print Bernadette! HAPPY BIRTHDAY PEACHES! Tamar–thank you! Peaches is humble about the whole process and doesn’t understand the big deal, just bring on the salmon pate already! Peaches, how awesome! Happy birthday! !